Hi everyone! 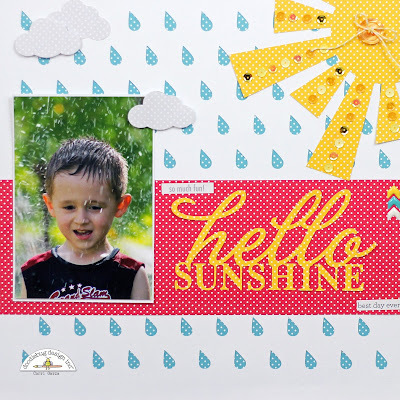 Corri here today sharing a couple of projects with the Swiss Dots Collection. 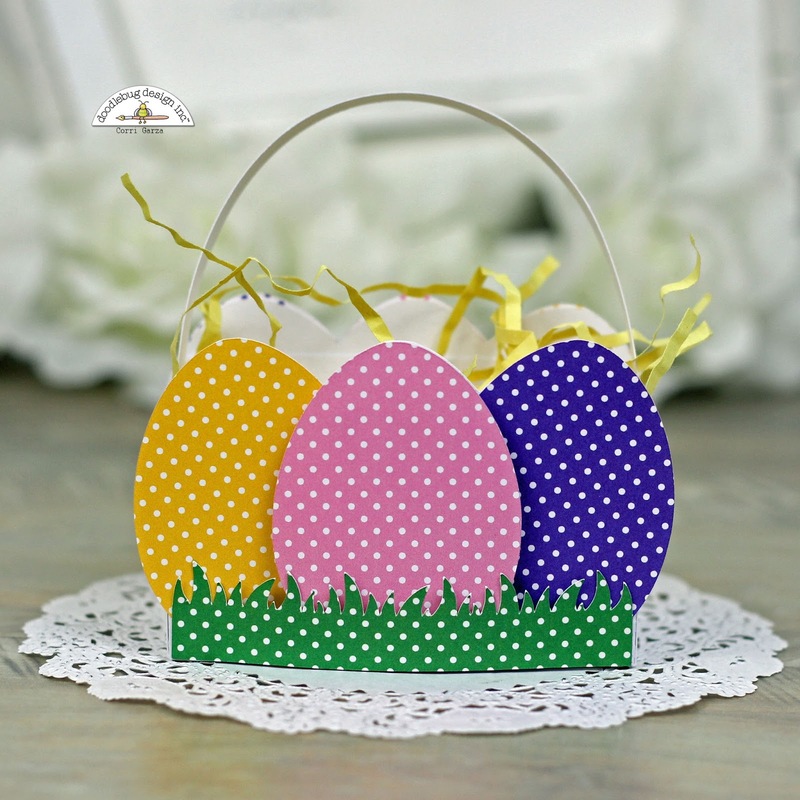 I love the collections...there are tons of fabulous colors and the dots are the perfect size. First my first project, I made a layout. I've had my eye on this raindrop background from the Silhouette Store and finally found a great way to use it. 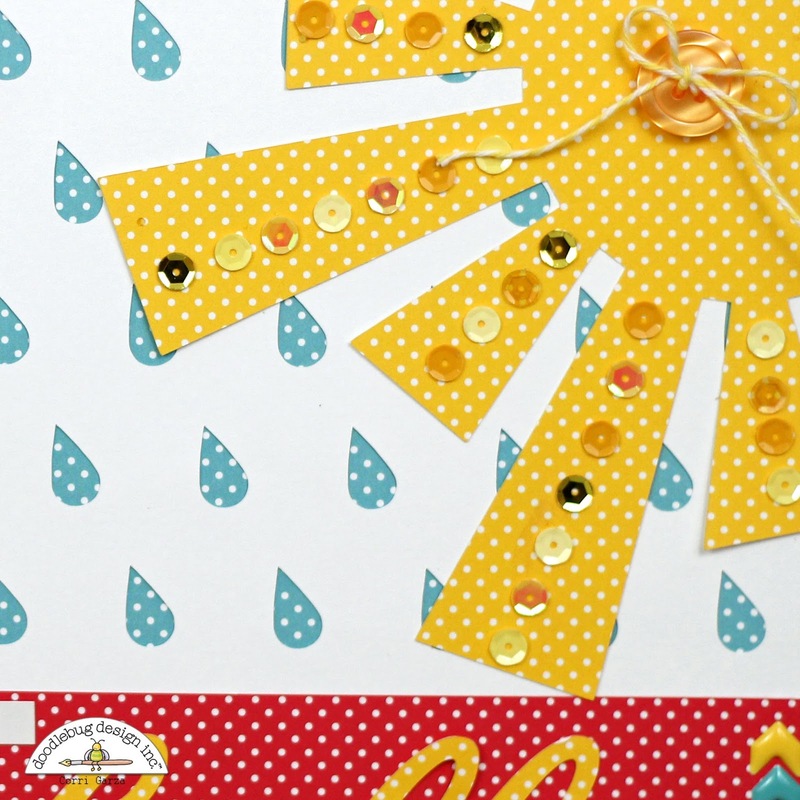 I cut the background from white cardstock and then backed it with a Swimming Pool Swiss Dots sheet. The sun is also from the Silhuette Store. I trimmed it to fit in the corner of my layout. 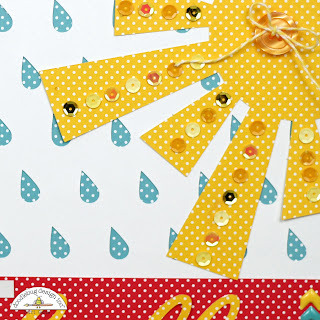 The sun and title are cut from Bumble Bee Swiss Dots. Sequins added some sparkle to my sun and I added a Tangerine button and some Doodle Twine to the center. 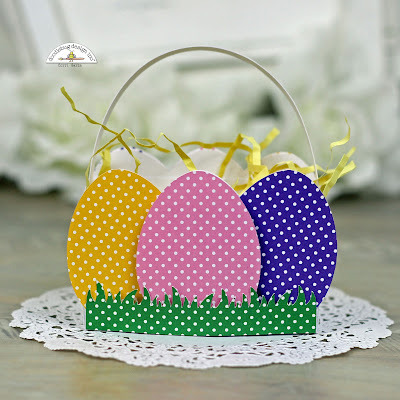 For my second project, I made a cute Easter treat basket with my Cameo. I love the Swiss Dots on these cute eggs. You can check out the full Swiss Dot Collection here. So many fabulous color for any type of project. This is fabulous Corri! Love those raindrops!